Sarah Nader- snader@shawmedia.com Tifa Prodanic with Royal Polynesian Review, performs a dance during the annual Crystal Lake Park District Senior Luau at Main Beach Wednesday, July 23, 2014. Dance and songs from Hawaii, Samoa, Tahiti and New Zealand were performed to senior by the Royal Polynesian Review during the luau. 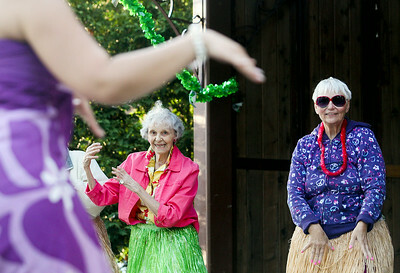 Sarah Nader- snader@shawmedia.com Shirley McCoy (left) of Crystal Lake and Sue Kuczek of Huntley is taught how to hula dance while attending the annual Crystal Lake Park District Senior Luau at Main Beach Wednesday, July 23, 2014. 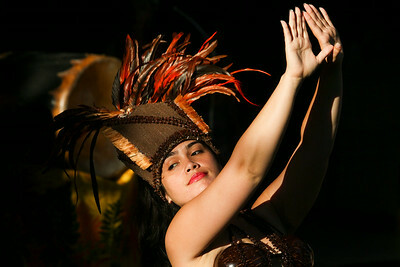 Dance and songs from Hawaii, Samoa, Tahiti and New Zealand were performed by the Royal Polynesian Review during the luau. Sarah Nader- snader@shawmedia.com Debbie Ierome with Royal Polynesian Review, performs a dance during the annual Crystal Lake Park District Senior Luau at Main Beach Wednesday, July 23, 2014. Dance and songs from Hawaii, Samoa, Tahiti and New Zealand were performed to senior by the Royal Polynesian Review during the luau.